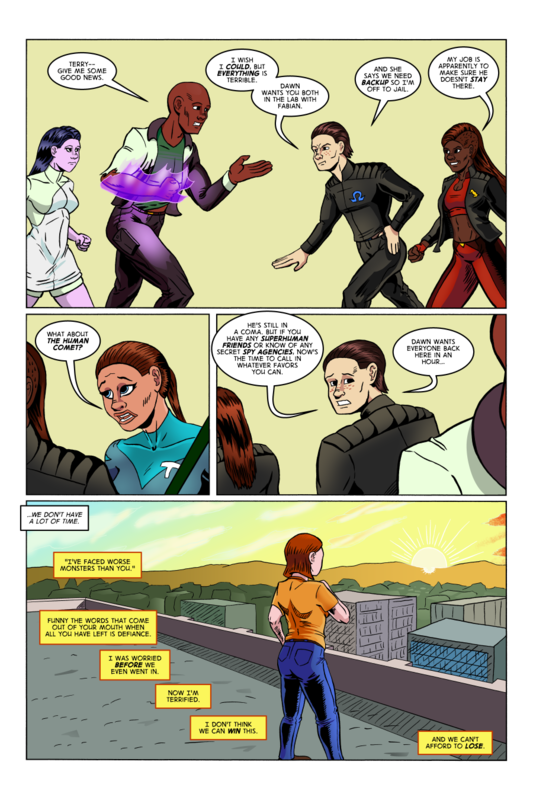 This comic was tagged Blue, Quanta (Aisha Archer), Rosary (Melanie McKay), Summoner (Javin Wilde), Terry Willis, Tide (Martina Montero). I would love to share you working directly on the computer — creating and designing — like I was able to see watching on your Mom’s computer in Seattle last weekend. I only have a few videos of that so far. I mostly just do it for the covers now because I can usually do those in one sitting and I don’t have to worry about spoilers!